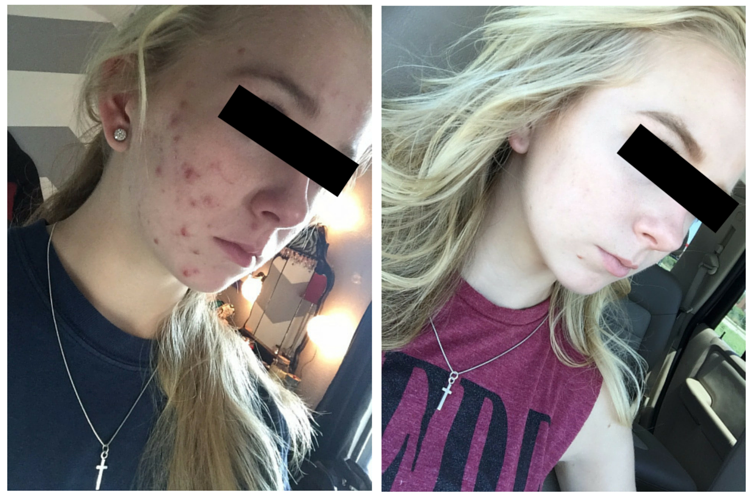 Acne can have a big impact on your life, which is why we take acne treatment very seriously and use aggressive treatment plans when necessary. 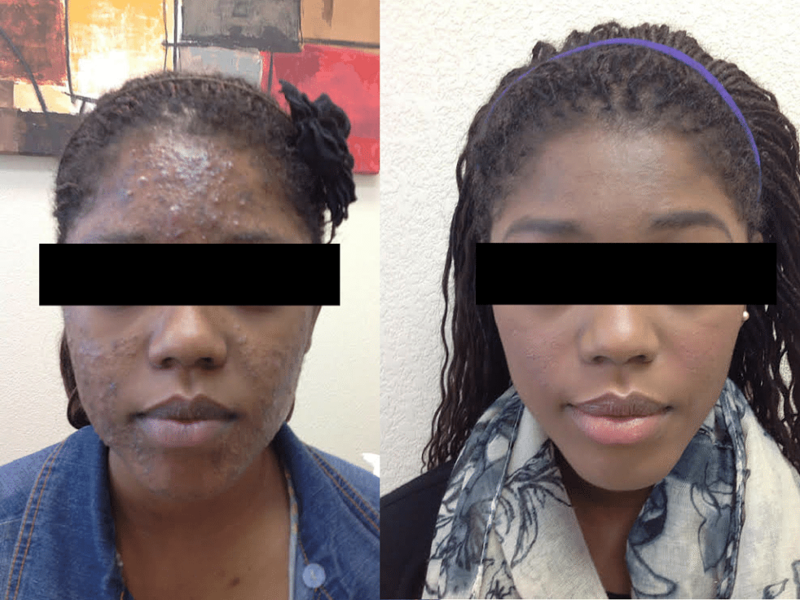 Our staff is passionate about treating acne to prevent the emotional and physical scars that can last a lifetime. Acne affects both men and women, teenagers and adults, all of whom can have different reasons for their condition. If left untreated, acne often causes scarring, discoloration, impacts self-esteem and can even be disfiguring. 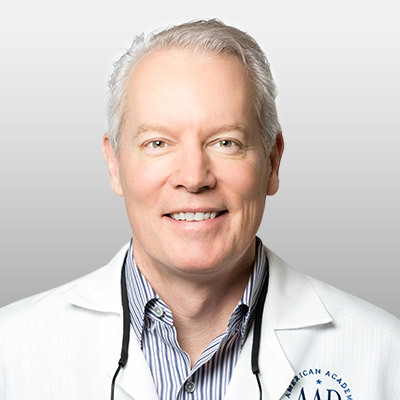 Dr. Plott has spent 20 years working in the field of acne and is a leading researcher in new treatments for acne. In fact, Dr Plott invented/developed several acne medications for the treatment of acne including, Solodyn, the most widely prescribed branded acne medicine given by dermatologists. Understanding the root cause of each patient’s acne is needed to select the correct treatment regimen. Dermatologists are the best trained type of physician to identify the cause and select the most beneficial therapy. Drs. Plott and Fuller and our staff use lasers, extractions, peels, topical and oral medications to help address all different causes of acne. 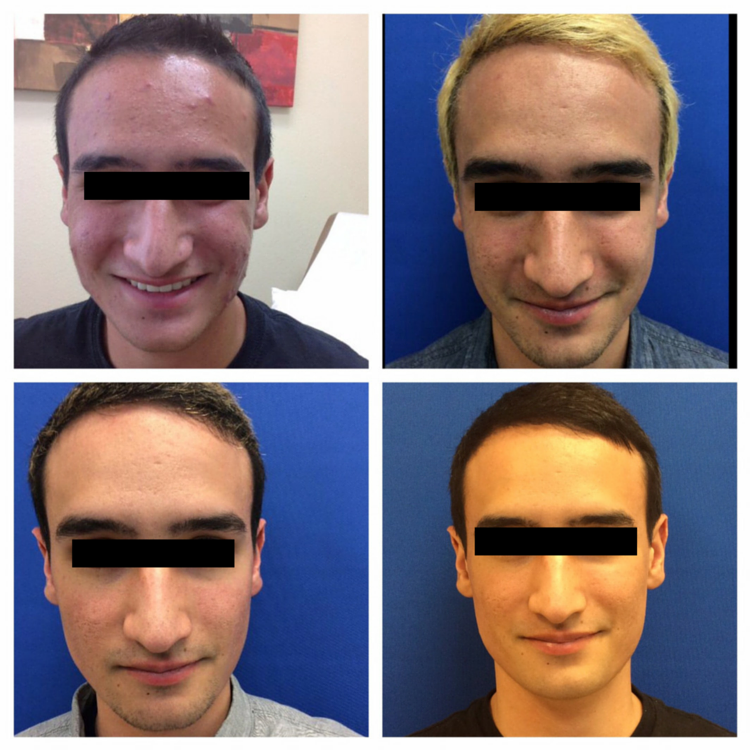 We are experienced in prescribing isotretinoin or “Accutane” for acne that does not clear with other treatment approaches. 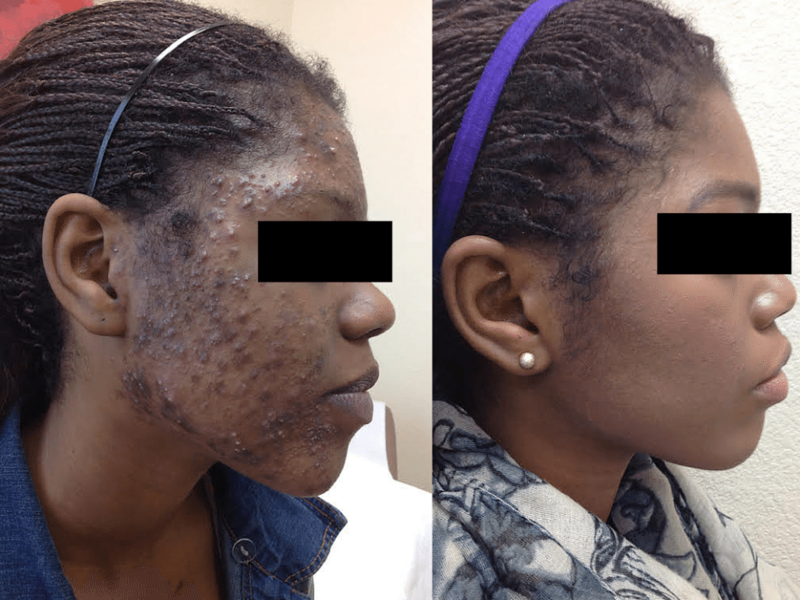 Isotretinoin is a very serious medication that requires a physician who is registered and experienced in its use, but it can be very helpful to quickly and effectively treat cystic acne. Acne prone skin that we are treating medically may qualify for use of Salicylic acid peels and comedone extraction. This is often covered by your insurance plan. Don’t confuse non-prescription products for the more effective prescription drugs dermatologists use to fight acne. Over-the-counter (OTC) products can be helpful for patients with mild acne, but when you have more than 5-10 red bumps on your face at a time, you may have acne that requires the care of a dermatologist. Products that require a prescription must be proven to work on thousands of patients and found to be safe to use before they are approved by the FDA. In general, over-the-counter products are usually less effective than the products a physician prescribes. Acne Surgery, also called extractions, is the removal of debris from the pores. It can also include the removal of milia – small keratinous cysts. Acne lesions also known as comedones can be either open (blackheads) or closed (whiteheads). The instruments used are sterile lancets and comedone extractors. When indicated a mild, beta hydroxy acid chemical peel will be applied to the skin. The peel will help to remove dead skin cells and rejuvenate the skin. Avoid the use of harsh exfoliants or active cleansers (benzoyl peroxide or salicylic acid) for 3 days after your treatment. Avoid topical medications such as Ziana, Atralin and Differen for 3 days following your treatment. As skin begins to flake and peel do not pull, scrub or pick at skin. Avoid prolonged sun exposure. 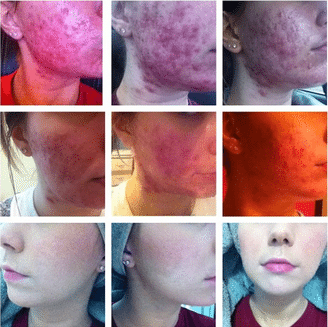 Discontinue the use of Retin-A, Renova, Differin, Ziana, Tazorac, Refissa, Atralin, etc. for 3 days following your procedure. If any raw areas develop on the skin, we ask that you return to the clinic for evaluation and you will likely need to keep Aquaphor on the your skin as directed. Avoid products containing alpha or beta hydroxy acids and steroids for 24 hours. Avoid prolonged sun exposure for 7-10 days and wear a hat. Facial hair removal such as waxing, depilatories, laser or threading is not recommended. The results you achieve may be different, but you should schedule an appointment with a physician to obtain a treatment regimen that is right for you. We welcome your questions on acne! We often have people ask about how food, products and hormones affect their skin. Contact Epiphany Dermatology today to get your questions answered and get on the road to healthier, clearer skin! Why Are Some Pimples So Painful? (And How to Stop the Pain!